Today I’ve got a fun look to share with you, featuring a brand new product from Essence–their new “Stamp It!” plate which was recently released in Canada. My love for cacti everything is ongoing, so I was excited that one of the images included with a cactus. I picked up my new stamping plate during a recent outing to Shoppers Drug Mart. It can also be purchased on the Essence website as well. I was super impressed with how well I could pick up images from the plate to apply to my nails. There is a huge variety of different images to choose from & they definitely seem easier to do than some of my older Essence stamping kits. I still have to pick up the actual stamper, but I’m looking forward to trying it out as well… you can never have too many stamping plates at your disposal, & I find myself turning to stamping when I’m extra busy & still want pretty nails. What do you think of this look? 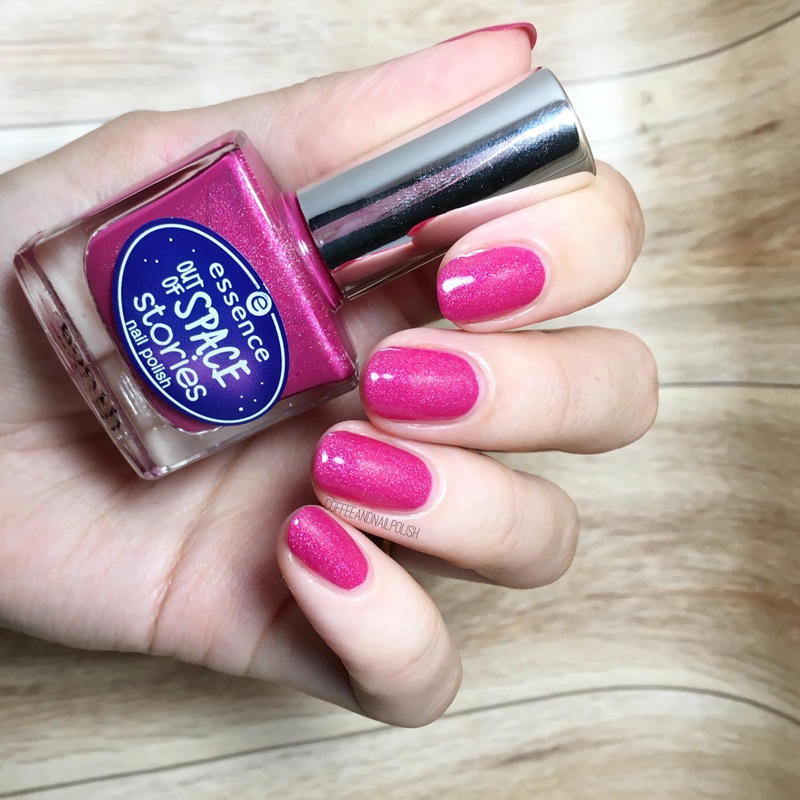 Have you tried out Essence new stamping plate yet? Let me know what you think by sharing your thoughts down in the comments below! SWATCH SUNDAY — Perfect Shades for Spring! Happy Sunday lovelies! Today I’ve taken another trip through my stash & picked out 5 polishes that I’m loving for Spring! I did a similar post last year, so I thought I would do another round of my favourite picks for Spring. & yes, I did put Essie Bikini So Teeny on the list again, but this is a brand new bottle so it counts! There is something about yellow polish that is so perfect for Spring & Zoya Daisy is a perfect yellow. This shimmery yellow is bright & reminds me of sunshine & I love wearing it as a base for roses because they pop so well. Also yellow always makes you look so tanned! I love white nail polish, this is no secret. & my love for this limited edition Quo by ORLY shade from Spring 2018 is HUGE! The off white with subtle shimmer means you get the look of wearing white nail polish without having to worry about looking like you’re wearing white out on your nails. & the perfect base shade for floral accent nails! Quo by ORLY polishes can be found at your local Shoppers Drug Mart. So, yeah… sorry about my bottle shots. This was one of the polishes from Sally Hansen’s Beautifier Collection I won from Lauren’s List & we lost one of the others in transit so my bottle is a mess. But the polish itself–a beautiful blush pink–is one of my favourite colours for Spring! I’ve been buying everything in it–shirts, shoes, nail polish! I just can’t get enough. You can find this Sally Hansen shade wherever Sally Hansen polish is sold. I literally cannot include a favourite polishes for Spring without including one of my all time favourite shades–Essie Bikini So Teeny! This vibrant corn flower blue also has that subtle shimmer that I love so much. One of my favourite bases for vintage roses or just on it’s own for days when I need something quick & easy. Wrenn Polish — I Know Guac is Extra! & just for fun, I had to create some nail art using my Spring Polish picks! How pretty do all the shades look paired in a stripe design. My nails are so short & breaky lately, they need some added length…. even if it’s all an illusion. Haha. I just my Bundle Monster striping Brush for my freehand stripes. so what do you think of my favourite picks for Spring? Do you have a particular shade you’re loving for the season? Share all your thoughts in the comments below! Happy Sunday lovelies. Today I have some more nail mail to share with you, this time featuring some brand new goodies from the Quo by ORLY. They are bringing out a ton of new polishes for both their regular formula & Breathable line. 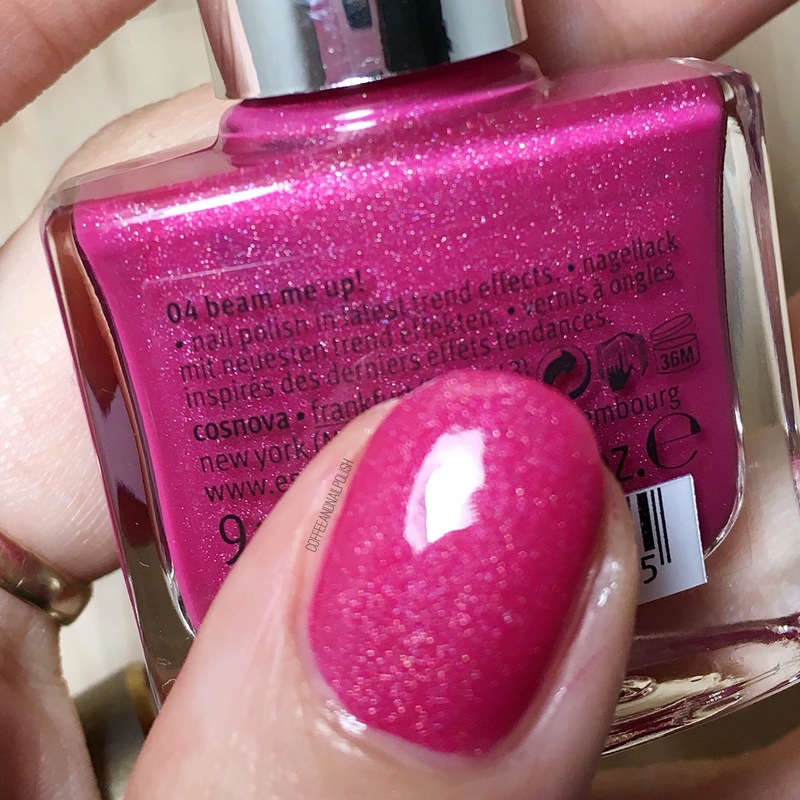 Today I have 5 polishes to share with you from the Quo by ORLY Breathable. I don’t know if you’ve visited your local Shoppers Drug Mart, but they currently have some amazing holiday nail products available. Every year they come out with packs of items & I always love checking them out to see what they have! This year, these holiday packs are all about keeping your nails healthy! Each one of these items would make a great gift for that nail addict in your life, or a great last minute stocking stuffer! *PR SAMPLE* Some of these items were sent to me for review. However, all opinions are my own. 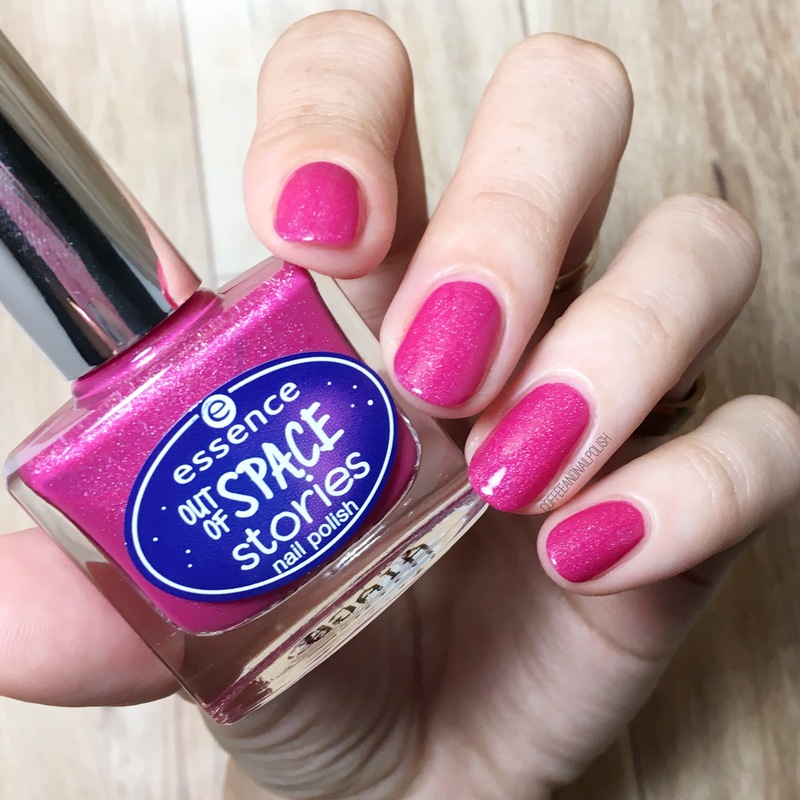 SWATCH SUNDAY—Essence Out Of Space Stories in Beam Me Up! Happy Swatch Sunday! Hope you’re having an exciting weekend. 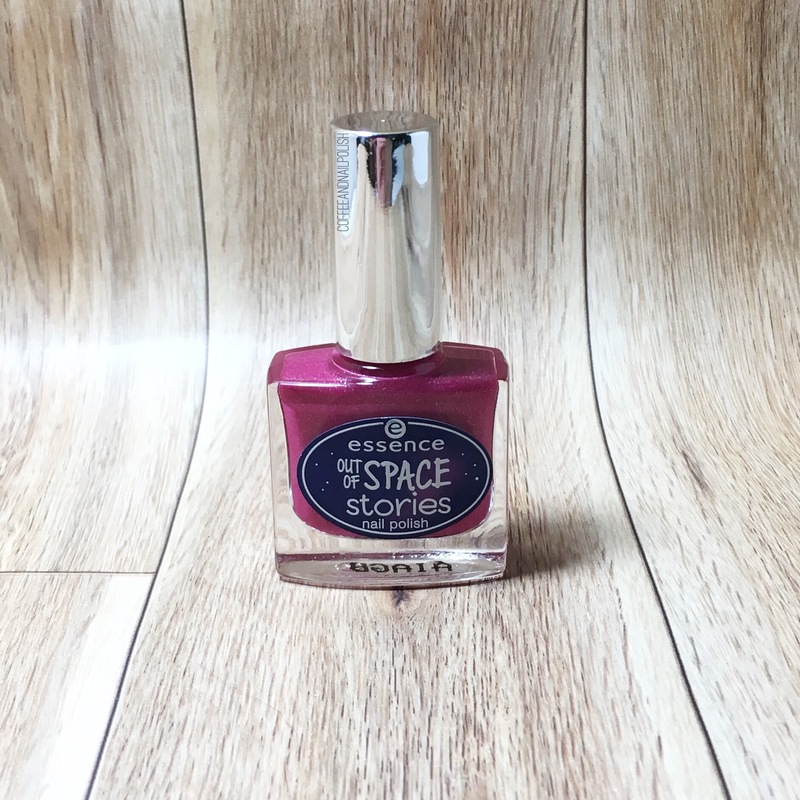 I’m excited because I was at my local Shoppers Drug Mart & found they’ve recently put out the Essence Out Of Space Stories collection. I actually squealed when I saw them, which lead to awkward stares from those around me. Haha. I first saw these shades when Mani Geek posted about them, but was disappointed they were only available on the website. Well surprise… not anymore! I decided to only pick one (for now) which turned out to be a hard decision. I must have picked up each shade & put it down again about 3 times before I finally decided on Beam Me Up! Beam Me Up! 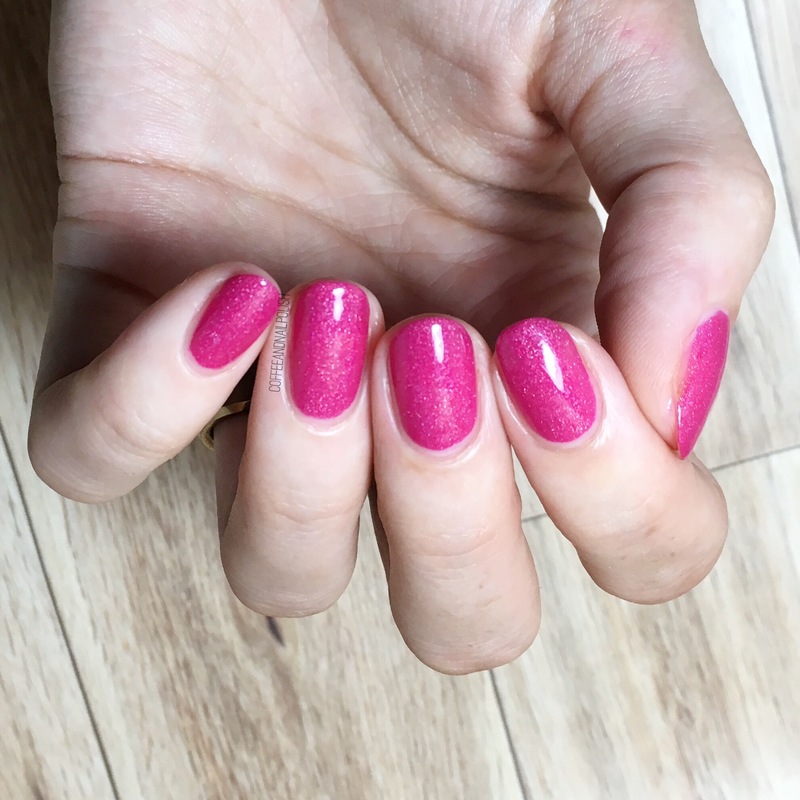 is a vibrant pink with golden shimmer with a slight scattered holo. This was two coats, plus top coat. I’ve been a fan of Essence shades for a long, long time & I always get so excited when new collections are released & this shade definitely lives in to the inner excitement I had brewing for these shades! 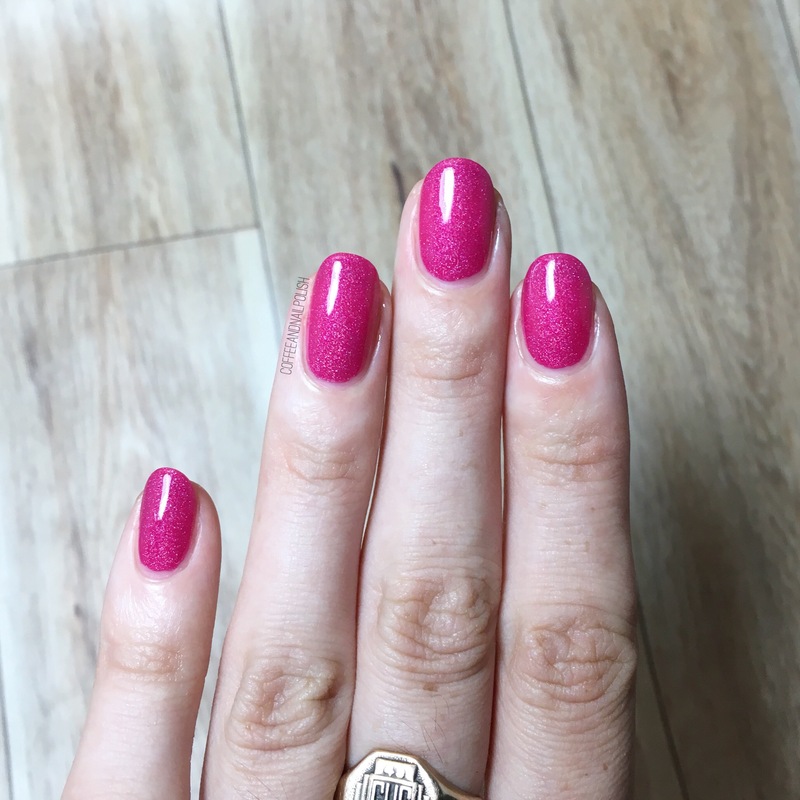 This pink is just perfect & it manages to stand out from the other pink scattered holos in my stash. This pink is seriously everything. That little bit of scattered holo takes a pretty polish & makes it a gimme gimme gimme polish. Also I have to mention how much I love the Star Trek inspired names! I grew up in a totally Trekky house so it’s a nice bit of added geekiness. 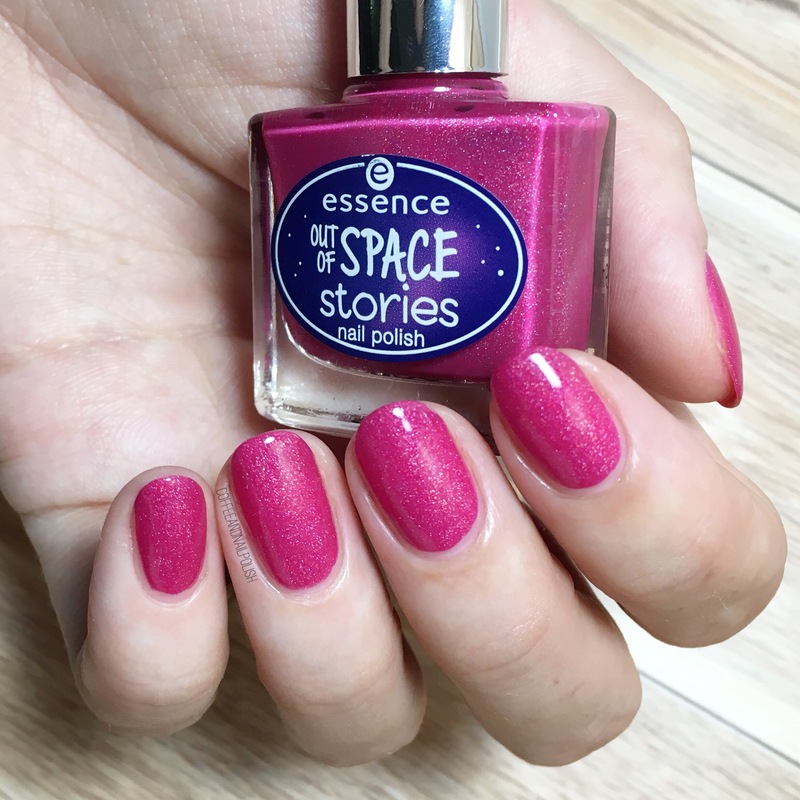 Have you found any of the Essence Out Space Stories shades in stores yet? These polishes had definitely only been recently added at this location (I usually go there every couple days) so if you haven’t found them yet, keep checking. I plan on checking my local Superstore (Loblaws) to see if they’ve added them to that display as well.